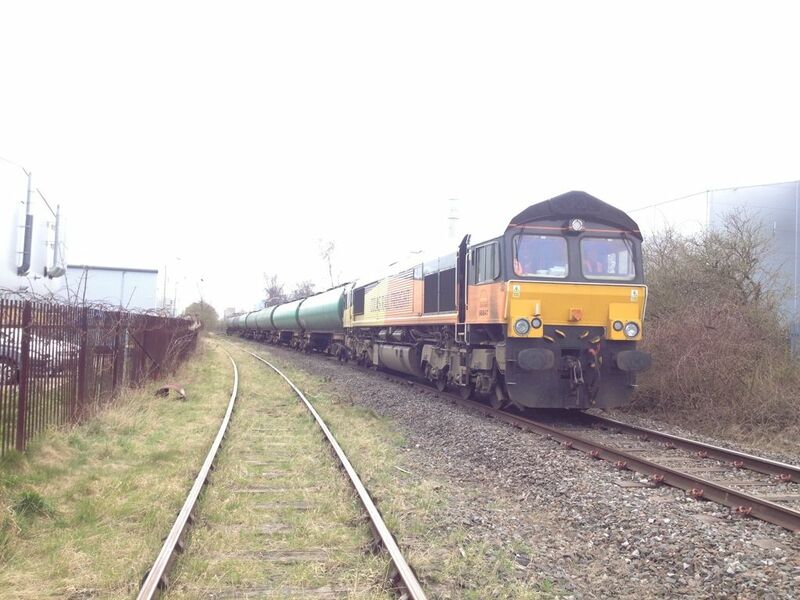 then back to sinfin and onto the train, here it is waiting at sinfin jn to head back out onto the mainline, the 3/4 mile trip down the branch involves working 3 ground frames, a propelling move and a run round then another run round at St Andrews on the way back!! Great pictures Jim, look forward to seeing more of your Colas adventures. 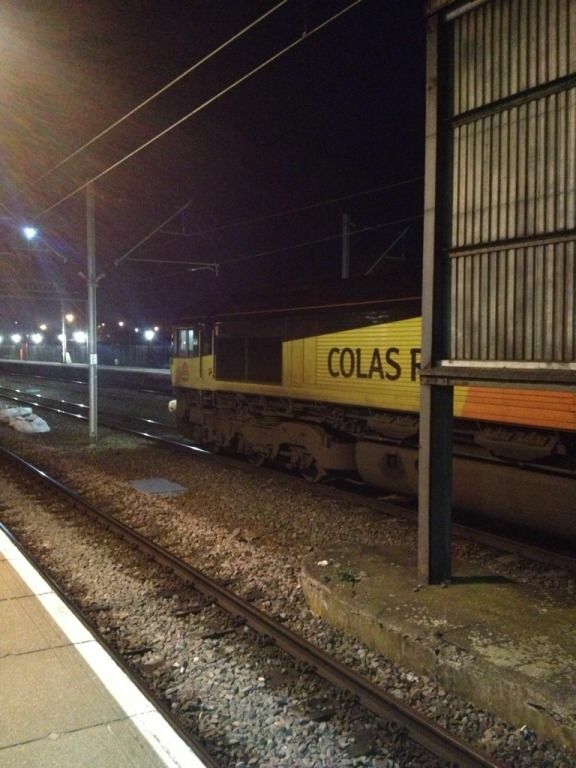 And there's me thinking your thread would be Lets Go Colas!! Good to see you back reporting on the railways. 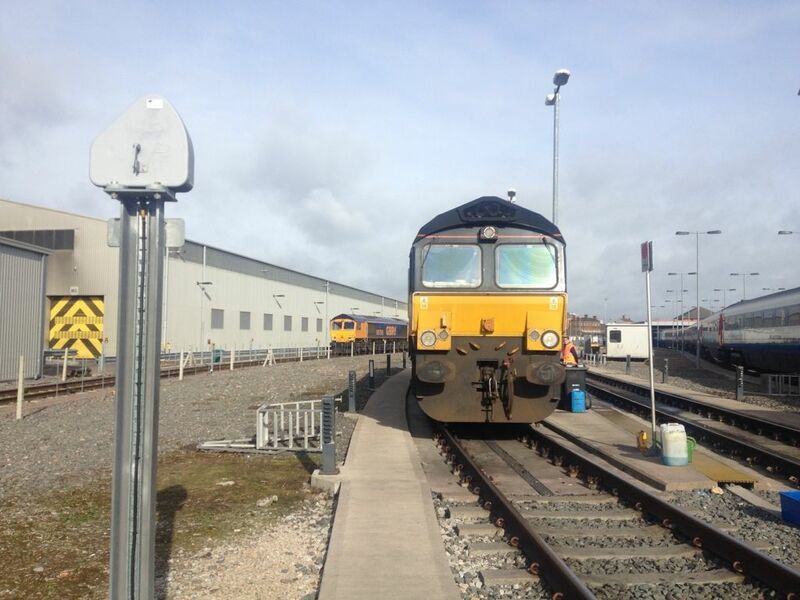 Saw the loco running light past Derby station this morning, heading north, you in the back cab? Can't remember if I'd just got off the Matlock in platform 1 or just joining the Crewe in 2. I've not been that awake all day! 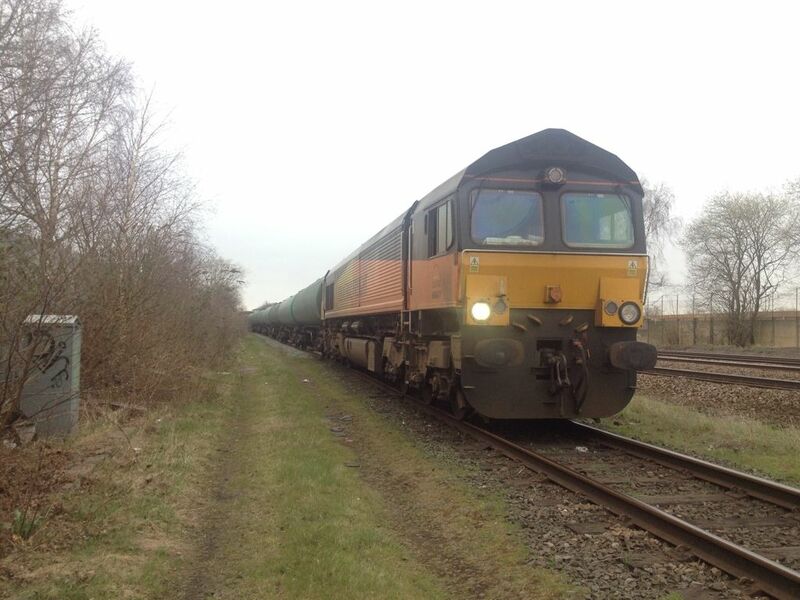 Same job two days running, on at 05.11 Grantham, Crewe, Mansfield Woodhouse. Let me know when you're heading down (up?) the S&C. Looks like the Ribblehead logs are running tomorrow. They usually only run FO. For a few weeks, there was both a Carlisle and Ribblehead to Chirk, but the usual routine tended to be Carlisle M-Th and Ribblehead FO. The Ribblehead empties usually work in from the south, so you may get to do the S&C both ways. 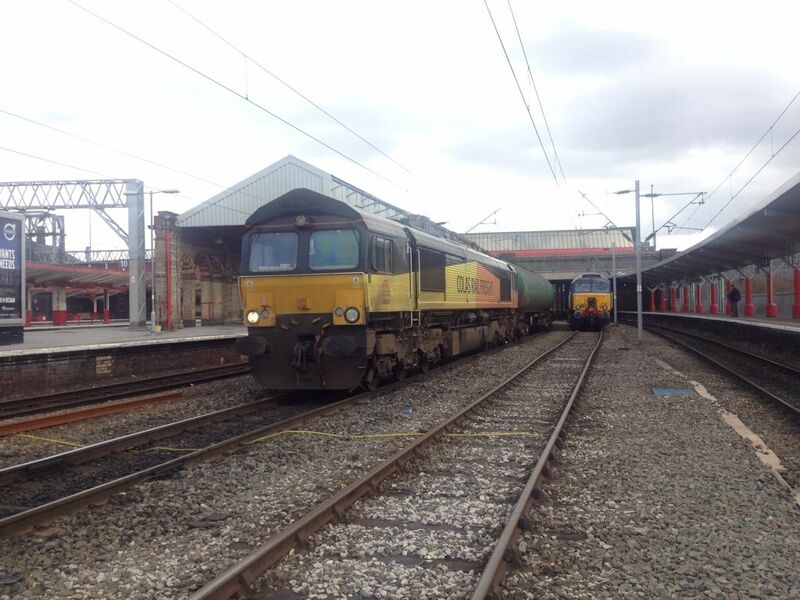 if your about tomorrow im planning on road refreshing on the 10.07 off crewe to derby! good luck with your new job jim! changes of job can be rather fraught especially in these uncertain times, but you seem to be handling the changes well! Thanks Jim, I always enjoy reading your work threads... Good luck with it. Let me know when you're heading down (up?) the S&C. It was good to see you Jim, I managed to get this short clip taken of the train as it passed the signalbox in Uttoxeter. Long weekend now, going somewhere that nobody will tell me, some kind of birthday surprise? Nice video bob, didn't see the camera when we passed by! "The Adventures of Big Jim" are always a good read! Onwards and upwards, Jim......keep it up. Excellent stuff Jim - post as much as you are able to, there are plenty of us interested. Thanks for the clip: Now I know why Hattons do their mega packs of wagons in eights!! Jim, let me know if you due through Donny anytime. I'll come and say hello. i think the log train may be harder to model though! Hope you don't mind me hijacking your thread. 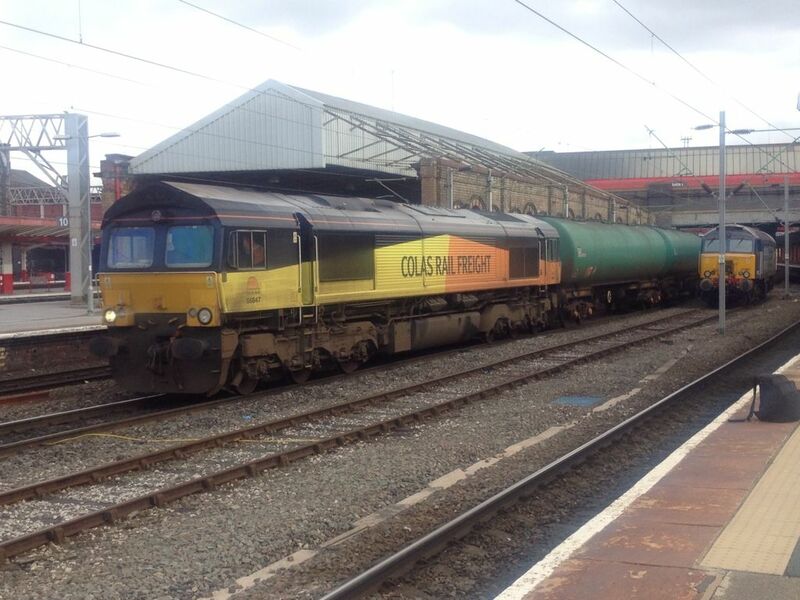 This was 6J37 Carlisle-Chirk today - not the usual 66850, but 56105. All three types of wagon in regular use by Colas in the formation. All the best on your new employment Jim.